TORONTO -- Tobacco giant Altria Group will invest $2.4 billion in Canadian cannabis producer Cronos group for a 45-per-cent ownership stake as the global market for legal pot continues to grow. Shares of Cronos surged as much as 33 per cent to $18.56 on the Toronto Stock Exchange from its $13.98 closing price on Thursday. It was trading at $17.25 by late morning. The company's stock on the NASDAQ soared by as much as 40 per cent to US$14.58 from its previous close of US$10.45, but was trading at $12.96 by late morning. However, the political climate south of the border has been warming up to cannabis. For example, legislation that would allow for the full legalization of industrial hemp in the U.S. and ease restrictions on the cannabis compound CBD is working its way through the U.S. legislative process. During the U.S. midterm elections, Michigan became the latest state to approval the legalization or recreational cannabis and Utah and Missouri approved the drug for medical purposes. 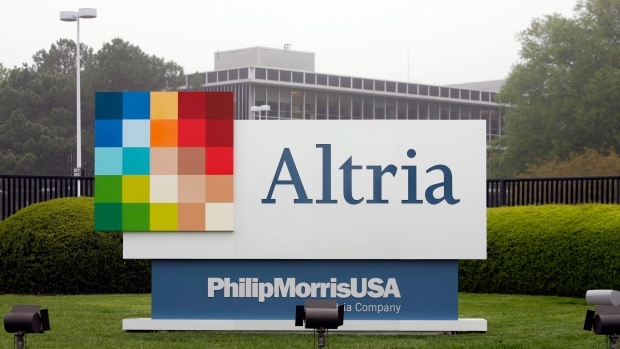 Altria's investment marks the latest move by a U.S company in an established industry to tap the burgeoning Canadian cannabis industry. However, major pot stocks have generally pulled back from their highs in recent weeks amid reports of supply shortages and complications with the sales process under the new regime.